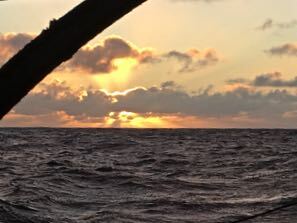 We left Suwarrow on the 23rd of May sailing half wind in 12 knots of wind making 6 knots in speed. Nice and relatively calm sea. Lovely sailing! 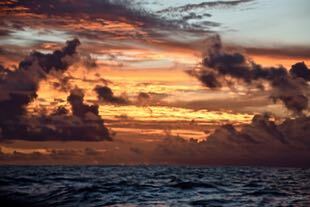 Our first night sailing was with the full moon giving us an amazing light for the night. We sailed with Meermöwe and Into The Blue. This last one having a radar gave us continuous report of squalls coming over our path, from behind, the side or from the front. Very useful! Thankyou Into The Blue! 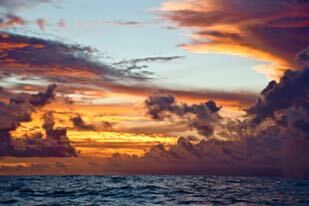 It took us 3 days to sail to Niue, mostly in good and fair winds, sometimes up to 23 knots. 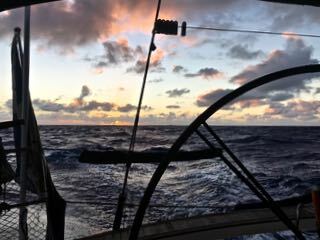 The sea got roly on and off giving us a rock’n roll sailing.